Tourmaline Quartz, also known as Tourmalinated Quartz, is a variety of Clear Quartz with naturally occurring needle-like inclusions of Black Tourmaline, also known as Schorl. 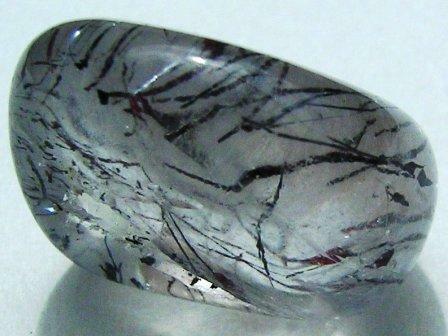 Typical colours - Clear with needle-like crystals of Black Tourmaline. Tourmaline Quartz combines the properties of Tourmaline and Clear Quartz Crystal. Tourmaline purifies ones own energies and protects from negativity, while Quartz amplifies energies focused through it. This combination makes Tourmaline Quartz a powerful shield-stone that, depending on the desired intent of the wearer, can amplify and return negative energy, like a mirror spell, or can convert the negative energy into positive energy for the wearer. An effective grounding stone, Tourmaline Quartz strengthens the body's energy field against external invasion and deflects detrimental environmental influences. It is often seen as a symbol of unity and is an effective problem solver. It eliminates crystallised patterns which are, or may have been, destructive in ones own life and releases tensions at any level. 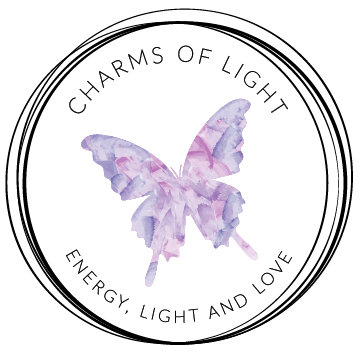 Its liberating power against negative energy can be used to assist us to actualise the strength needed to alleviate negative or hostile relationships and situations. Tourmaline Quartz balances yin / yang energies. It harmonises disparate and opposite elements and polarities, and turns negative thoughts and energies into positive ones. Psychologically, it helps to integrate and heal the shadow energies, alleviating self-sabotage. It harmonises the meridians, the subtle bodies, and the chakras. Tourmaline Quartz detoxifies the entire body and is used to treat disorders of the digestive tract. Enter your first name and email address and I’ll send you a healing angel affirmation especially for you!